When you think "AARP", you think discounts for meals and travel, prescription drug programs, Medicare insurance - and the "gray panthers." While widely hailed for the benefits they extend to their 37 million members, it is the last item, political activism that has sparked a change. By taking political stands on highly controversial issues, especially on the Affordable Care Act popularly known as Obamacare, they have angered half of the senior population . This has led to an exodus away from the largest senior organization toward a pair of new organizations seeking to capitalize on the discontent. Quoting the organization itself, "AARP is a membership organization leading positive social change and delivering value to people age 50 and over through information, advocacy and service." Founded in 1958 as an out-growth of the National Retired Teachers Association, it's original purpose and still it's core business is not in providing discounts to senior but to sell insurance. AARP is very active politically and has been actively promoting the continuing growth of benefits to seniors. One of the criticisms of the organization has been the liberal focus of it's policy positions. On a range of issues, from retirement programs to taxes, AARP is consistent on positioning itself to the more progressive end of the political spectrum. Indeed, on inter-generational issues, AARP has advocated policies that while protective of their core constituency, are arguable damaging to the country as a whole including continued opposition to privatization of social security despite the fact that the system is clearly in long-term decline and is unsupportable as is the case with the current structure of Medicare. In both cases, the AARP position is effectively to tax all other individuals regardless of age to provide the benefits to the current retirees and those that are close enough to retire to benefit before the system collapses. In 2009, AARP actively began supporting legislation that would eventually evolve to be the Affordable Care Act (Obamacare) angering much of the senior population. While publicly proclaiming that it was non-partisan, the plan that it supported was the most partisan piece of major legislation ever to pass through Congress. Given that AARP is primarily an insurance company, the support of the ACA was a clear conflict. Indeed, the health plan ultimately passed contained cuts in Medicare that seniors rely on but the mandatory participation in the healthcare marketplace - enforced with a tax that would be devastating to much of the 50+ age population that AARP claims to represent - should serve to increase revenues for the insurance arm of the organization. This presents a clear conflict of interest. Approximately 60,000 members resigned in protest from AARP at the time. One of the beneficiaries of the dissatisfaction with AARP was the Association of Mature American Citizens. With a base of approximately 300,000 members, AMAC actively promotes not just the benefits packages that AARP delivers but also conservative activism. This activism includes not just working with the senior population and issues directly related to it but also includes specifics on hot-button social issues such as abortion and immigration. As with AARP, AMAC has insurance as its base business and offers programs that in general are comparable to AARP. Included are life, health, Medicare, dental and auto insurance. The American Seniors Association (ASA), founded in 2005, is similar to AMAC though less visibly active in their conservatism. Again, the funding for the organization is through insurance. The core principles for the ASA can be found in their "Four Pillars" which address Medicare, Social Security, Illegal Immigration and Tax Reform. One significant difference ASA offers is a more tightly structured benefits system which does not have the range of discounts offered by AMAC and AARP. Where the other organizations focus on creating discounts in entertainment and dining, ASA stays unabashedly focused on the core services. Cost for each: AARP, $16; AMAC, $15; ASA, $15. Paul Duffau is an expert home inspector, specializing in senior independence living. 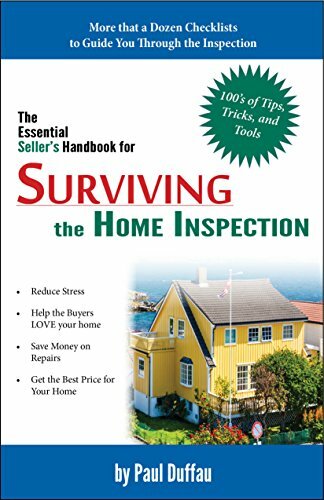 His handbook for sellers is an essential guide for any homeowner prepping their house for sale and who wants to minimize the disruption that an inspection can bring.